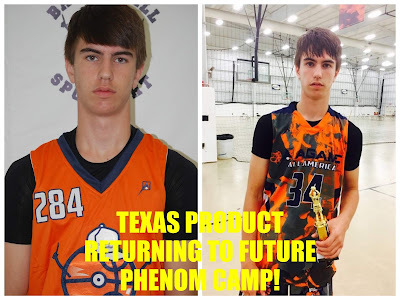 BASKETBALL SPOTLIGHT NEWS: Texas Product Berry Set To Blossom At Future Phenom Camp! Texas Product Berry Set To Blossom At Future Phenom Camp! Owen Berry made his mark at the Future Phenom Camp last summer as he finished ranked #9 in the event and made an appearance in the AGame All American Game. Owen returns to show off his wing skills and ability to score the rock. The task is big but if anyone can handle it the Texas product is the guy for the job. If you have what it takes register for the Future Phenom Camp at www.bballspotlight.com. Stay tuned as Basketball Spotlight brings you more top players coming to the Future Phenom Camp.